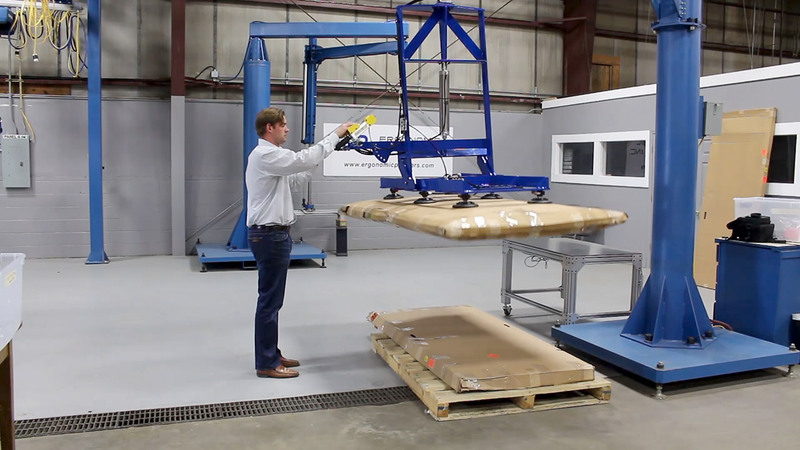 Fast and easy pallet loading or unloading. The operator needed much more space in a tight work cell in order to operate the tool. The operator had to stand further away from the box making it harder to locate. 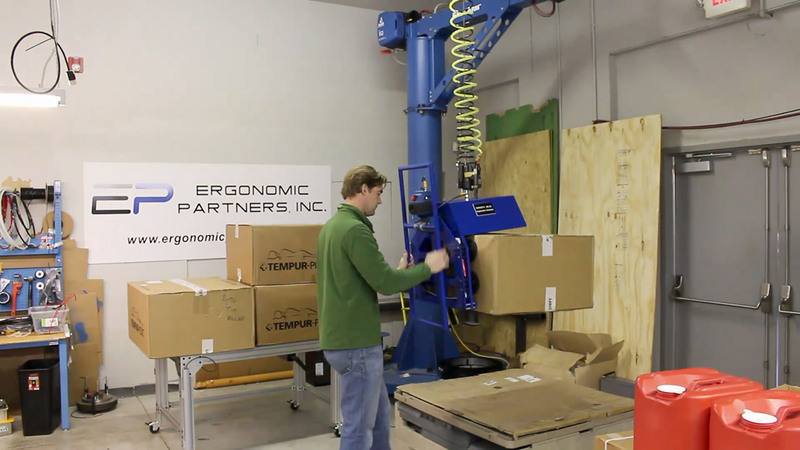 Solution: Ergonomic Partners worked in conjunction with Gorbel to develop a force sensing handle to help with an application where lifting high and low was needed. 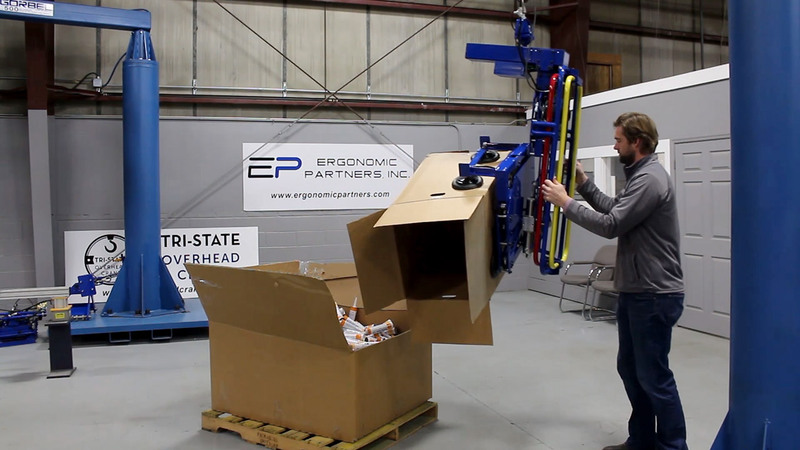 Once the technology was developed, it allowed Ergonomic Partners to build a box vacuum lift that could lift a box from floor height to 110 inches while still keeping the operators hands at an ergonomic height. The vacuum portion of the tooling was designed to lift on the side of the box, as the customer had several open top boxes. Hence, no matter what style box you have, there is no need to change configurations when palletizing boxes. As you can see from the above video, it takes very little force to move the box palletizer. The long handle on this vacuum lifter for sale can be grabbed high or low, and your hands can change places while traveling. 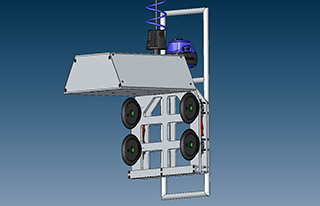 Reduced cycle time typically by 5-10 seconds per pick. Kept operator closer to the box, making it easier to locate the vacuum cups. The closer handle gave the operators more leverage, making moving through the work cell easier. 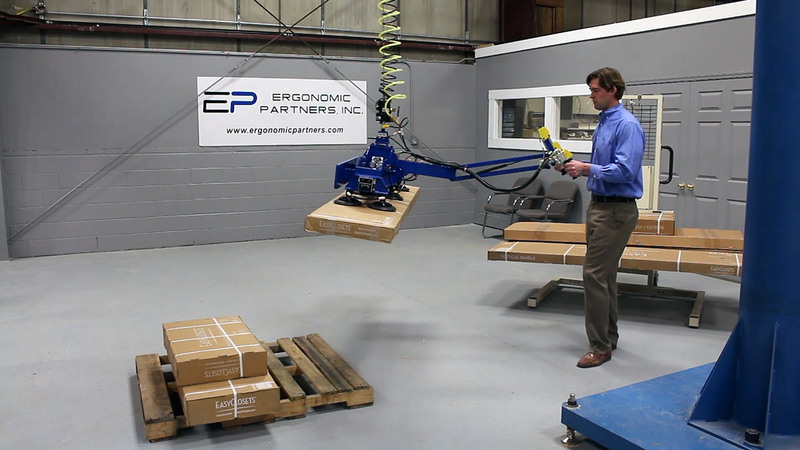 Ergonomic Partners has a LIVE DEMO of the vacuum lifter for sale and Gorbel Easy Arm zero gravity articulated arm in our shop.